Friday, and a person’s heart turns to matters of dance. Firstly: Whip out your calendars and mark March 1 @ 7pm down for the latest edition of Speaking of Dance. DanceHouse board member and Certified Movement Analyst Anita Seiz gives a free talk about Dance Training in China at SFU Woodward’s Mowafaghian Cinema. These evening always make me want to go back to school in the best possible way. Very interesting, and great prep for Wen Wei Dance and Beijing Modern Dance Company March 11 & 12. Two more shows of Joe Ink’s Dusk, tonight and tomorrow at the Firehall at 8pm. Saturday at Granville Island, it’s Pop Up Dances. From noon to 5pm, surprising dance will surprise you (surprise!) Make sure you look up for Aeriosa. Best of all? Free! Chutzpah Festival’s dance offerings continue with a dance double bill on Saturday night at 8pm and Sunday at 2pm at the Norman Rothstein Theatre. Part 1, entitled FULL BLOOM is performed and choreographed by Kevin O’Day, Luches Huddleston Jr. and Robert Glumbek, and choreographed by Roberto Campanella, Part 2 by Yossi Berg and Oded Graf from Israel with Noam Gagnon and Justine Chambers from here. 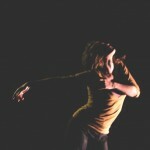 VIDF starts March 1 and runs until the 19th, mostly at the Roundhouse Community Centre in Yaletown. There are lots of free events (free, that is, with a totally worth it $3 VIDF membership), and artists from Switzerland, Germany, Spain, Seattle, Montreal, Vancouver and more. This week, we’re looking forward to checking out battery opera’s new work that is inspired by the encounter by two women – Lee Su-Feh and Chung Jung-Ah – with hyphens in their names. BTW, Jung-Ah is also going to be seen in Under the Skin. Busy lady! ~ by DanceHouse on February 25, 2011.